Hi everyone! 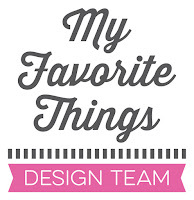 I’m so excited to share my first countdown post for My Favorite Things with you! Today is the second day of the MFT May release countdown. This release is packed with amazing new products! I’m in LOVE with this little cow! There are also coordinating Die-namics for this set but I decided to create a one layer card using only stamps. I did a little scene with the cow that I colored with Copic markers. The speech bubble is from the Die-namics Photo Booth Props set. Love how you created the grass and your cute cow. Was für eine süsse Kuh ♡ Ich liebe Toricos Motive! Freu mich schon auf Dein morgiges Werk! Ganz ehrlich: Von allen Karten mit diesem Stempelset war deine mit Abstand die schönste! beatuiful card, I lvoe how you coloring the background!!! Lovely card. I like your grass and the word bubble. Who wouldn't fall for a cow wishinh you happy birthday? ich schließe mich Anni an!!!! MFT kann sich echt beglückwünschen dich im Team zu haben. 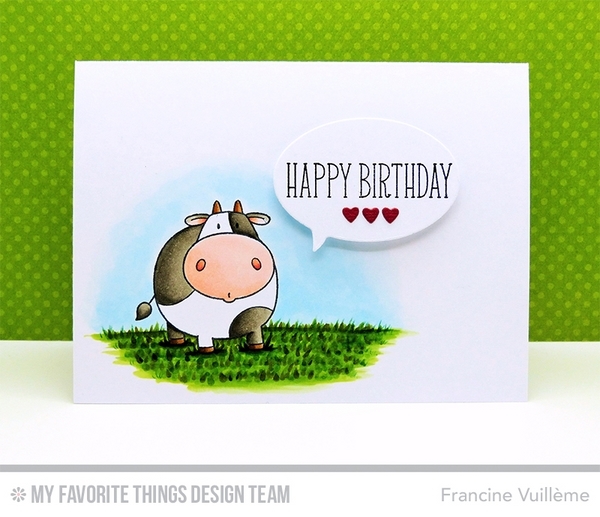 Wow Francine ... what a beautiful cow! Not sure how often that is said, but your coloring is perfect and this little cow just shines! Love it. Are you kidding me? That grass! Wow, tolle Szene, das Gras sieht so cool aus! Hmmm did you get he post I sent about the cow?